America’s in love with RVs, Recreational Vehicles that is, including motorhomes, 5-wheel trailers, popup folding trailers, truck campers and sport utility RVs. 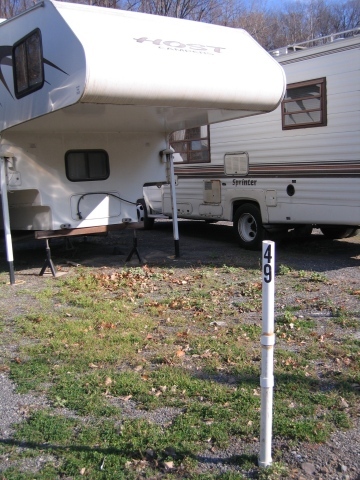 While motorhomes and campers get most upstate NY use in the summer, it can be a challenge to park them in the winter. For “snowbirds”, winter is the time to get the RVs on the way south, and the objective is to store them away during the summer. Your boat and trailer is a major investment, and you need to decide their storage location carefully. 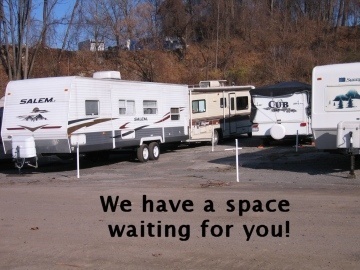 Empire Storage & Gated Parking meets the needs of those who use Recreational Vehicles but need a place to securely store them. Owners may not have enough free driveway space, have a neighborhood association or deed restriction. We have space for you! Our vehicle parking is affordable, convenient, and organized with your own numbered parking place. Our naturally secluded and gated location, and daily foot traffic around our complex, allows you to feel comfortable leaving your vehicle with us. Ask about our Affordable Winterization for boats! Please contact us early for availability, rental periods, and inquiries about larger spaces. Shrink wrapping and affordable winterization for boats is available on request.